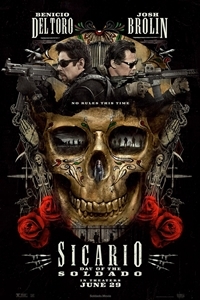 In Sicario 2: Soldado, the drug war on the US-Mexico border has escalated as the cartels have begun trafficking terrorists across the US border. To fight the war, federal agent Matt Graver (Josh Brolin) reteams with the mercurial Alejandro (Benicio Del Toro). Paragon Theaters - Luxury Made Affordable © All Rights Reserved 2019.